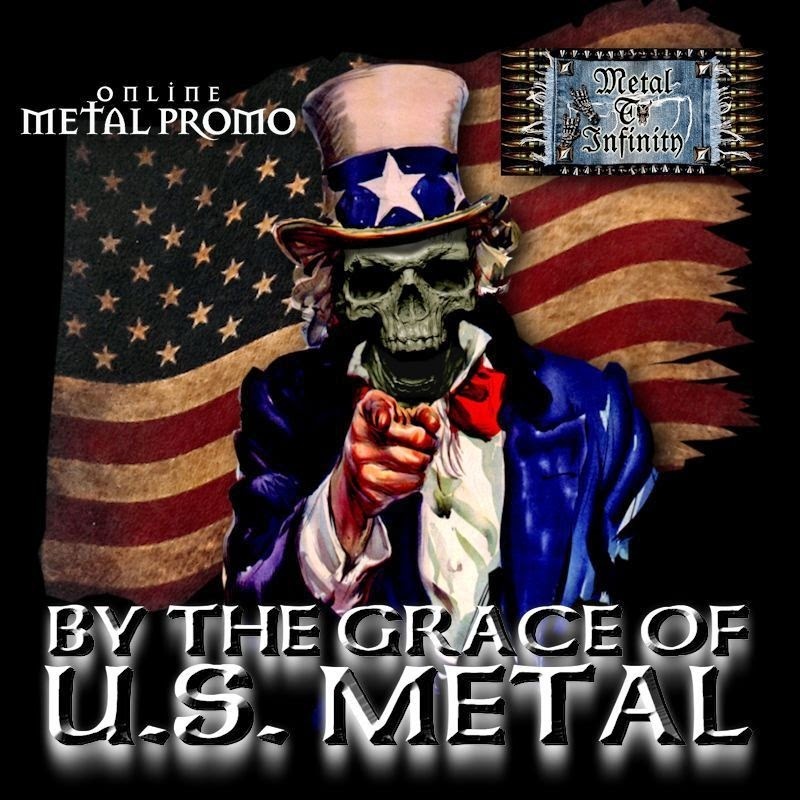 ONLINE METAL PROMO and METAL TO INFINITY webzine (Belgium) are proud to jointly release "By The Grace of US Metal", a free download compilation featuring a mix of 34 current, deep, lost and unreleased original songs from up and coming as well as established hard rock and heavy metal artists from the United States. The old school Scorpions sounding previously unavailable song "Arise" from San Diego, California power metal kings Cage off of their pre UNVEILED cd recording sessions from 1998. The brand new unreleased song "Summoning of the Dark Ones (Skull, Rose and Dagger) from Chicago, Illinois horror heavy metal masters Ravensthorn from their upcoming cd "The Bell Tower Mansion". The brand new unreleased song "Not On My Own" from Dallas / Ft. Worth, Texas classic melodic hard rock band Millennial Reign led by Aska bassist Dave Harvey from their upcoming cd "The God Particle".